ARP conrod bolts are reusable and wont stretch even in harsh conditions. APR head bolts keeps the head gasket in constant proper tension. Bolts wont stretch and are reusable. ARP maincap bolts are reusable and wont stretch. These are a good upgrade when building a highly tuned engine, and a safe option when you dont want bottom end problems.All other ARP bolts are also available. ARP flywheel bolts wont stretch and are reusable. 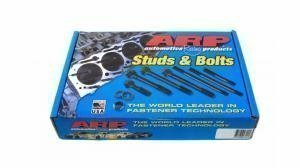 APR bolts are "must have" when upgrading the engine. 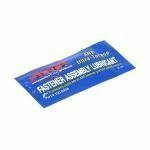 ARP high quality assembly lube is great for engine assembly. ARP grease ensures that bolts get torqued to the correct rating.